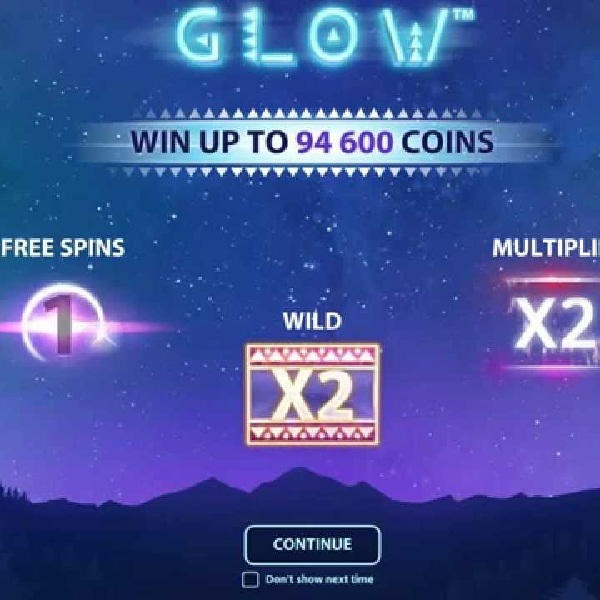 Net Entertainment has been busy releasing slots and the most recent to hit online casinos is a game called Glow. Glow is a 5 reel, 15 fixed payline slot that has a Native American theme. The high value symbols are a variety of animal masks, such as a deer, a bear and a snake, and the transparent reels are set against a wide open sky dotted with stars. There is also a pink animal mask wild symbol and whenever it forms part of a winning combination players receive a 2x multiplier. When playing the game each time that a combination is formed by the high value symbols players will receive a certain number of free spin. All free spins come with a 2x multiplier and during free spins any winning combination will result in more free spins being rewarded.